This is a question we've been asked a lot lately. As a result, we have decided to dedicate this blog post to giving you an informed answer. The truth is: there are many ways of making money of your blog. If you want to know our favorite tips and tricks on this topic then continue reading and we'll teach you how you can turn your SimpleSite Blog into a money machine. Don’t have a blog yet? Create one for FREE by clicking on the green button. Before you can start making money from your blog you need to build an audience of a descent size. The key to every successful blog is delivering quality content and promoting it (e.g. on social media). Your blog posts should be both original and creative. Remember to make sure your headlines are catchy and appetizing. Be consistent and keep up with a fixed updating frequency of your choice. Subscribers are demanding and constantly crave new content. If you disappoint them, they may abandon you. In the worst case your blog will end up in the digital cemetery. But creating good content isn’t enough on it’s own. You will want to constantly grow your blog and get more subscribers and visitors. This can be done by sharing your posts on social media, making sure you optimize all your blog posts for search engines and by trading links with other blogs or websites. You blog about a product or a service. You provide your readers with a unique affiliate link to the product where they can buy the product. The affiliate link contains a tracking code that registers if any of your readers buy the product from the affiliate link. If they do buy a product, you will receive a commission. If you have a lot of subscribers and manage to sell the products well, this can lead to quite a generous income. How great is that? The affiliate program is a middleman between companies, who want to market their products, and bloggers, who want to promote or write about products. The affiliate program coordinates all the technical stuff and makes sure you earn your fair share of the revenue. Another way of making money of your blog is by running your own online store. While this will require more time and energy, you are also sure to gain 100% of the commission. Adding an online store to your blog is ideal for those who blog about beauty, sports, creative handcrafts, gadgets, electronics and the like. So if you blog about handcrafts you may want to sell the materials you use, or even sell your final creations. If you work as an consultant, coach or guru, you can also use your blog to promote your services, and then let customers book your service through the online store. It’s very easy to set up an online store. Read this blog post and learn how to set up your own online store in under 10 minutes. 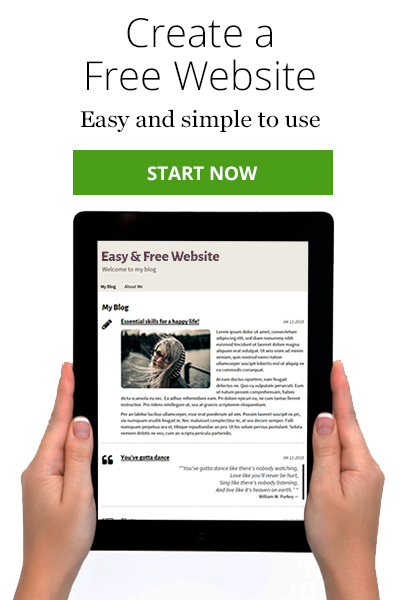 Another way of monetizing your blog is by writing your very own E-book(s). This is especially relevant for those who are experts within their field, and who have built up high credibility within the blogging world. Be careful not to turn your blog into the next TV shop. Too much advertising can result in a drastic drop in subscribers. People simply don’t want to be spammed with ads all the time. Remember to keep it at a level you would find acceptable if you were the reader. Eventually, what it all comes down to in regards to running a good blog is the quality of the content. Another rule of thumb is to only promote products or services you sincerely believe in and that you would like to be associated with your name. If you advertise a bad product, or a product that is totally irrelevant for your readers, your blogs image and your reputation will suffer and in the end this can have serious effects on your earnings. Thank you, this is very helpful as am new in the "blogsphere" and was looking for such vital information. Thanks a lot for making blog available. We're happy to hear you enjoy our service. Really worthy and informative post. It's always must to engage with customers to make money with blogging. i have just created my own blog for company registration and consultation ,currently i want to learn how does the blog thing works. You'll be able to find more useful blog posts about blog management. For more tutorials about using SimpleSite, please visit our YouTube channel. I really enjoyed the valuable information that you presented to us. I will definitely see how I can fit some of these ideas into my blog. I used to earn money through affiliate marketing by adding the affiliates' customised HTML to my site to create clicky banners but I don't see that facility on Simple Site. Is this something that will be available any time soon?